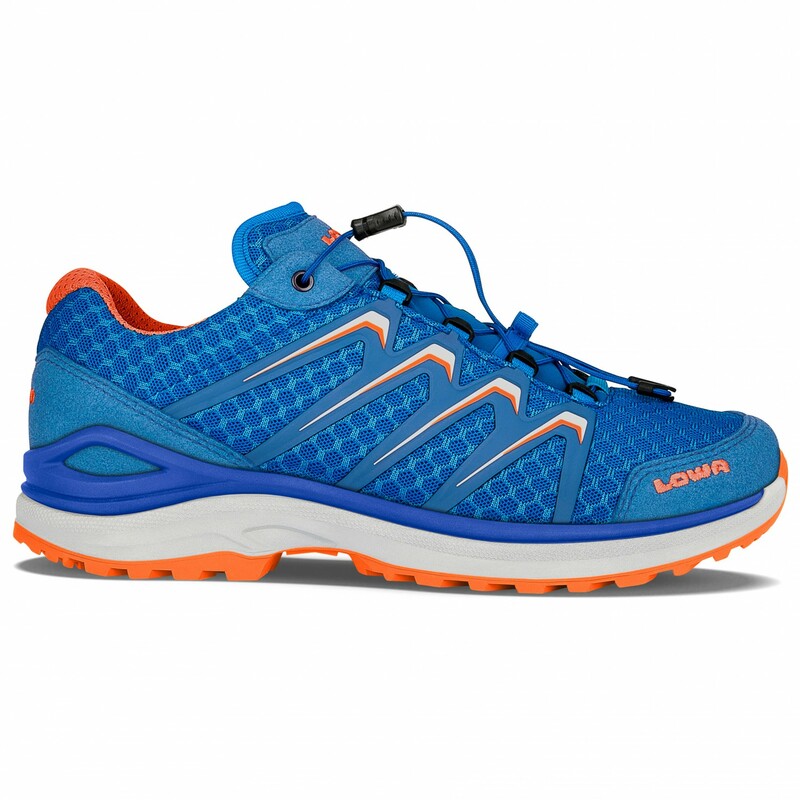 Due to their use of such soft cushioning and the stabilising Support Frame, Lowa has created a shoe that is hard to beat in terms of comfort. Meet the Maddox Lo multisport shoes. The pleasant DynaPU layer smooths out uneven terrain, whilst the grippy Lowa Enduro Ewo rubber sole provides precision and maximum stability as you go. Thanks to the combination of mesh and synthetic fabric, the Maddox is also very breathable. The easy-to-use fast lacing system is not only efficient and comfortable but also serves to prevent the laces coming undone. The Maddox Lo from Lowa.